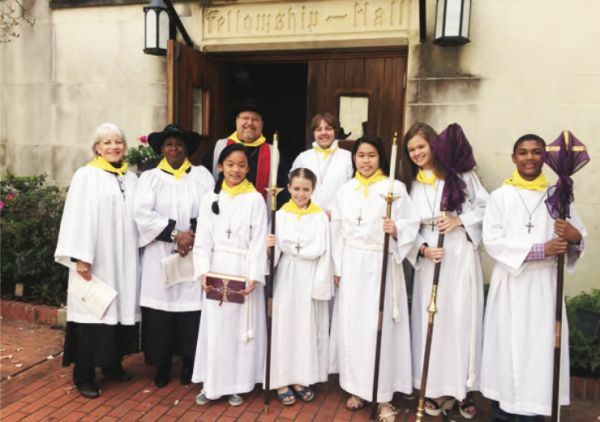 The members of the Acolytes Guild serve and assist the clergy of Trinity with the 10:30 am service, as well as with many special services such as Christmas Eve, Jazz Mass, Holy Week services, weddings, and others when needed. This ministry provides an exceptionally rewarding opportunity to become a vital part of the service, assisting at the altar. Many describe the experience as literally “AWEsome”. The ministry is open to both youths and adults (as positions become available). Contact John Cloud [email protected] to learn more.